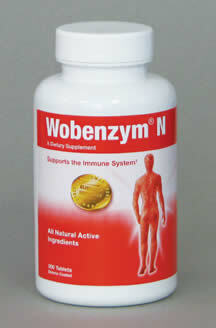 Wobenzym N is a clinically proven combination of specific enzymes and the leading natural solution in systemic enzyme support. 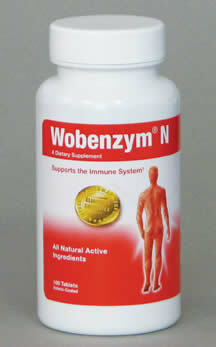 Wobenzym N tablets are protected by an enteric-coated shell, which ensures optimum absorption and utilization. This product's precise enzyme formulation assists the body's maintenance and support of a healthy immune system.† You can purchase the authentic formula manufactured in Berlin, Germany directly from the exclusive distributor of Wobenzym N in the U.S., Douglas Laboratories. STORAGE Store in a cool, dry place, away from direct light.Keep out of reach of children.